This item came with a recent scope purchase and is surplus to my needs. 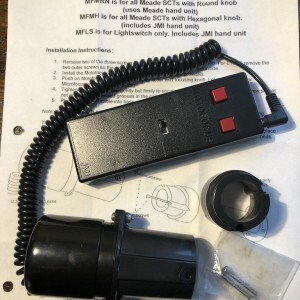 Here is a JMI Motofocus (p/n MFLS) for Meade SCTs. It mounts to the existing housing and engages the focus knob. 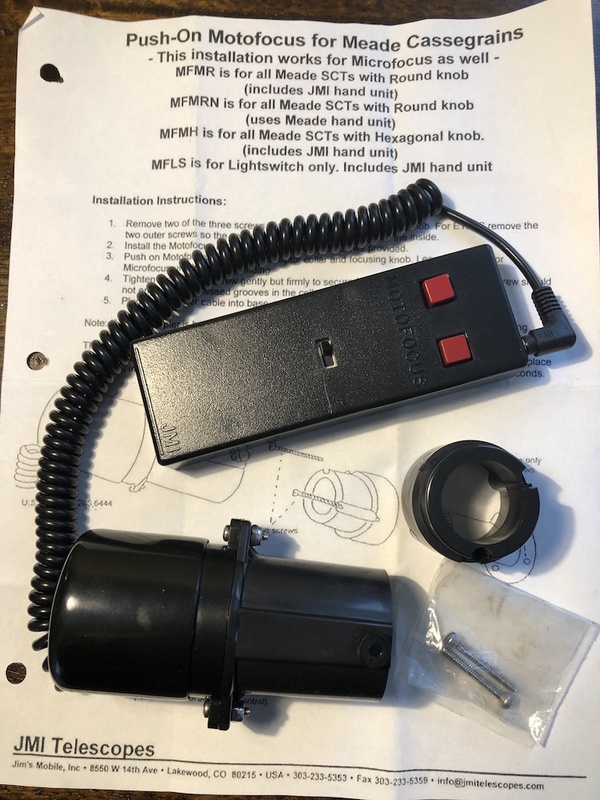 It is designed to plug into the focuser port on your control panel, or can be controlled separately with the dedicated 2 button JMI hand control/battery box if you don't have the necessary output on your mount. There is also a switch to change from fast to slow focus speed. Focuser comes with adapter, hardware, JMI hand controller and instruction sheet.